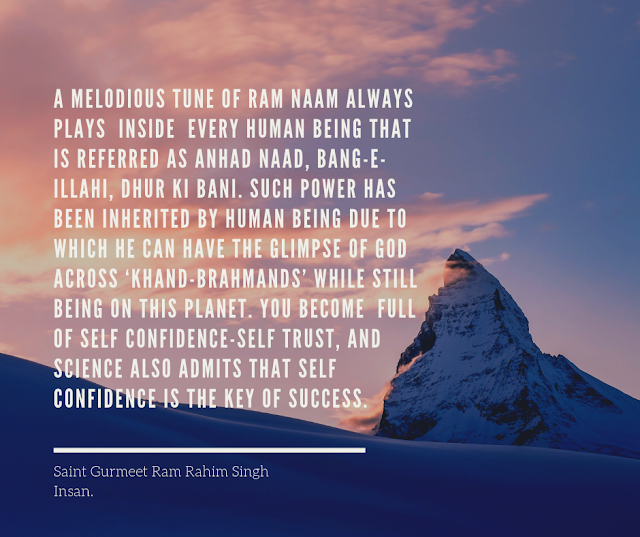 Describing the subject of spirituality based upon the bhajan,” Naam –ras pee ke diwana jo bane,wo mun buddhi ka nishana n bane” Guru ji Saint Gurmeet Ram Rahim Singh Ji Insan says that that sweet , melodious sound of the Master is sweeter than honey, Aabo- Hayat, Hari-ras, Nectar exists within all of us. There is nothing comparable to describe its sweetness in this world. If you begin the sumrin of that Lord then you will come to enjoy such a taste which is multi million times sweeter than any taste of this world, in the beginning. Yours Holiness says that so far as you do not make your thoughts pure, you can not gain access to that Master, though anywhere you may pray. Man these days does cheating-dishonesty very smartly even with the Master. But he does not think that this brain has been granted by the same Master. During these days of Dense Kalyuga man earns lacks of rupees through cheating. He offers par shad worth rupees 501 in the temple. Still that is not not taken by the Master. But man never thinks that what how we can offer to that God who nurtures life inside the stones even? None of our religious books have got recording that we may adopt cheating-dishonesty and earning by unfair means and it will make the Master happy. Our sacred Vedas profess that if you have to demand something from God then demand God from God, good earth, good air, clean water and health. 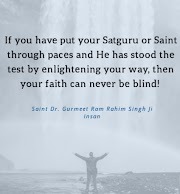 Baba Ram Rahim Ji says that one must do sumrin of Gurumantra while doing daily routine like walking, sitting, working through your thoughts. People pick up incomplete knowledge and say that work is worship but as per holy Gita one must be Karmyogi as well as Gyanyogi. You must know that what type of work you are going to do, then you will perform better. As you sow so shall you reap. You can not reap mangoes from a Kikar tree. The deed you are doing today will produce their results consequently. His Holiness says that there is light in the Naam of Allah, Waheguru, Ishwar and Ram which we recite. Whole of this universe including Brahma, Visnu Mahesh were created out of it. This light has been referred to as the tower of light in holy Vedas. Explaining the detail of Triloki. His Highness says that Triloki is not referred to sky, earth and nether world. Triloki is a place where three types of species are found. Firstly, with solid body which is visible.. Secondly with bodies which are not visible but still are there, and called as Shuksham- Kaya. Thirdly, Karan Kaya which is possessed by gods. These have no shadow and can be small and big as well. 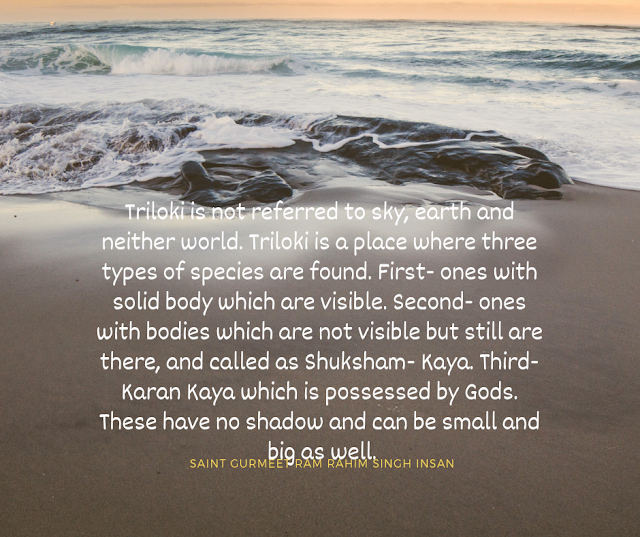 These three categories of bodies are referred to as Triloki. 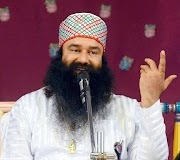 Referring about the virtues of Ram Naam His Highness says that he who once tastes the juice of Ram Naam, goes crazy. A melodious tune of Ram Naam always goes on playing within every human being that is referred as Anhad Naad, Bang-e- Illahi, Dhur ki bani. Such a power has been inherited by human being due to which he can have the Darshans of Bhagwan across ‘Khand-Brahmands’ while still sitting on this earth. You become full of self confidence-self trust, and science also admits that self confidence is the key of success. Still this self confidence can not be enhanced by any method of Ayurveda, Allopathy, Homeopathy, Naturopathy. No outer medicine can boost the self confidence. Such medicine is available only in our religious scriptures., which is referred as Gurumantra, Kalma, Naam-Shabad. If the recitation of Gurumantra is done devotedly it increases self confidence and enhances moral courage and makes the devotee free from all worries, tensions and problems. He becomes fearless. He attains qualities like those of God. Such persons neither fear nor make others to feel scare of them. They follow the path of Ram Naam themselves and persuade others to follow suit. Those persons who listen them and act, become worthy of drawing comforts. How the Naam of God works? Explaining about this, His Gracious says that every man has a particular level to think. But Ram Naam has tremendous power when you reach in trance during sumrin then your level of thinking is widened. You get the answer of all puzzles and you become free from every worry, tension or stress. Ram Naam works like this and not like wearing any ring, amulet or any other hypocrisy. If God worked upon wearing a ring then those manufacturing them would have taken all works from God. Why they would have wanted to work themselves at all? Man must live life uniformly, explaining about this, His Holiness says that many times the position of human being becomes such that he dies many deaths and survives again. When he dies then nothing seems to be good to him and when he becomes alive then everything seems good to him. This is the reality of life. Therefore one must try to recognize oneself. Life should be passed in a uniform pattern. When you gain happiness then you should not become overjoyed and adopt meanness. 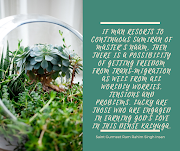 When you are surrounded by troubles all round then you should not be depressed too much so that you may become numb and do nothing in the direction of salvage. Since grievances and happiness are parts of life so one must remain least affected from them and lead a uniform-smooth life. Thus grievances will not be able to break him down and he will be restrained from going astray during lucky days. In order to gain such smooth habit one must resort to Sumrin and it should be done with a fixed schedule.